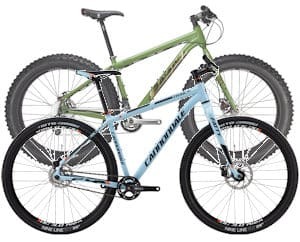 Every bike has a unique frame or serial number. Have you made a note of yours? 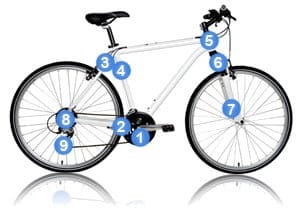 There are several places you may find your bike’s frame number – nos 1 & 8 are the most common locations. This number is useful if, unfortunately, your bike is stolen and is reported to the police or you need to make any other insurance claim. 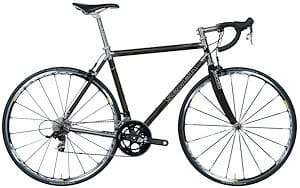 Your bike’s frame number will most likely be stamped into the bottom bracket – point 1 – or the rear drop-out – point 8. You should make a note of this number, maybe write it in your owner’s manual. It’s also a good idea to keep receipts for the purchase of expensive accessories or components. Halter’s keeps no records of frame numbers so make sure you make a note. Hopefully, it will never prove to be necessary. Firstly, always be prepared. Check out our advice about what should be in your seat-pack. If you’re riding in a group, there’s no need for everyone to be carrying a pump, say. But most riders will feel most comfortable if they’re self-sufficient. 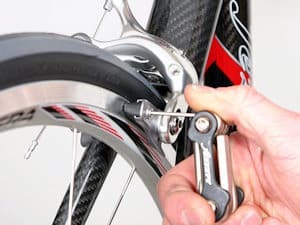 Secondly, the best place to practice fixing a flat is in the comfort of your home. Otherwise, believe me, the first time you have to do this on the road, the first sleety rain showers will be closing in for the winter and you’ll be cold, wet and miserable and you’ll hardly be able to feel your hands. Basically, your first flat will make you feel like this even if it’s the middle of summer. So, I looked on YouTube for a video showing how to fix a flat. I chose this one because it’s one of the few which feature a flat in the wild rather than a fully equipped workshop. 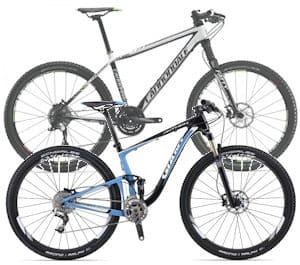 The video shows road bikes, but the principles apply from hybrid bike to mountain bike. 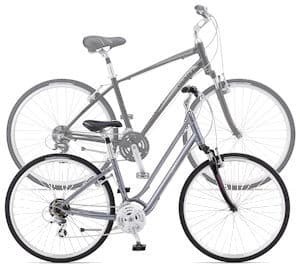 Note especially, the way to set your rear gears – this will make removing and replacing the rear wheel easier. Don’t forget, front forks usually have a safety lip on the dropout so quick releases have to be further unwound after release. 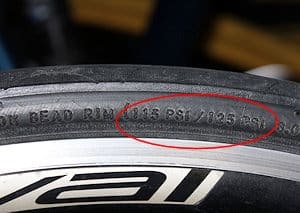 Examine the tire to make sure the sharp that caused the flat isn’t still embedded and make sure you don’t pinch the new tube as you install it. And make sure you stop in a safe place!!! So, always have a spare tube. Take the punctured one home and fix it at your leisure using a patch kit. Carry a couple of self-adhesive patches in case you catch a flat plague. Don’t let the first time you do this be on the road or trail. If you use tubeless tires, you can always install an inner tube in emergencies. Make sure you know how to remove the valve. Before taking off on a bike ride you should always take steps to ensure you have an enjoyable ride and also be prepared for contingencies. This isn’t an exhaustive list, but it’s a start. Use the check to get familiar with how your bike works and its general condition so you can spot issues before they become a problem or even a danger. Air : Bikes roll best when tires are pumped to the correct pressure. You’ll also resist flats better. While you’re checking, also look at the condition of your tires; any cracks, bald spots, canvas showing through, etc. Wheels? Any loose spokes? Cracks/dents in the rim, wobbles? Is the wheel on tight? You can buy a bicycle pressure gauge, but most floor pumps have a pressure gauge already fitted. Brakes : It’s great to go cycling, yes? But it’s even better to be able to stop. Squeeze the brake levers. Is the action nice and smooth? No? Your brakes may need new cables, lubrication or adjustment. Do the levers come back to the bar-grips? That shouldn’t be. Are the brake pads acting on the rim correctly? Are the brake-pads worn? Do they even work effectively at all? Check your handle-bars are straight and secure … heck, check your seat is adjusted and secure too while you’re at it. Is your chain lubed? Rusty? Do the gears change smoothly? Are your pedals secure? 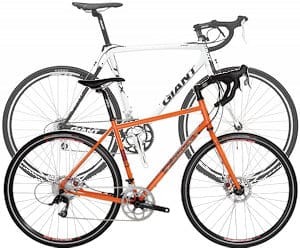 Chain : A rusty chain drags, changes gear poorly and may even snap. It’s also an indicator of the general mechanical condition of your bike. While you’re down there lubing your chain check your pedals are secure and there are no clunks or grinding noises from the bottom bracket. While checking your bike, keep your eye on the big picture. A well maintained bike is a safe bike. Maintaining your own bike isn’t rocket science, but it does demand a degree of knowledge and experience which can be found in your local bike shop. Book your bike in for a basic safety check or full service to ensure your bike is in tip-top condition, but you still need to remember the ABC every time you take your bike out. 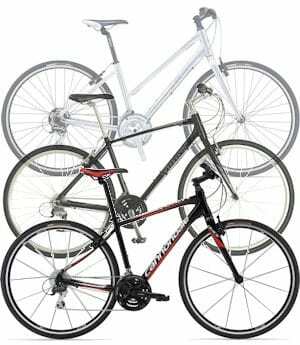 The workshop guys will be pleased to demonstrate a quick bike check to you when you pick up your bike. Ride safe – and don’t forget your helmet!!! Some of the most frequent maintenance calls we get are from people with mysterious flats. Bike tires hold a very small volume of air compared to a motor vehicle tire and just a minuscule loss will lower the pressure drastically. Air leaches through the inner tube meaning that bikes should have their tires pumped at least weekly. High pressure road tires should be pumped to the correct pressure before every ride. Keeping your bicycle tires pumped up is one of the most effective ways of avoiding flats. As well as making the bike easier to roll, flints and sharps have a greater tendency to glance off the surface of the casing. 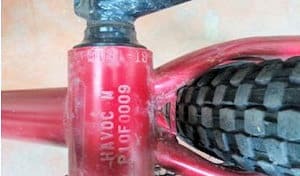 An under-inflated tire will also be prone to the most common type of puncture, the pinch flat, or because this often occurs with two holes, the snake-bite. This happens when the inner-tube is pinched between the rim of the wheel and the road. Often it’s associated with riding the bike up the kerb. 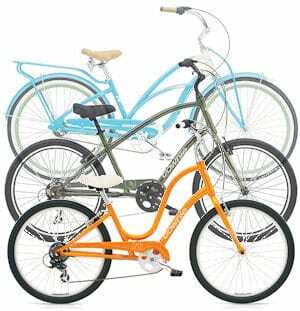 When you look at a bicycle wheel the tire is a tough outer casing supported by an inner-tube. Some bicycles have tubeless tires, but this is an expensive option. Generally when you have a flat it is because the inner tube has been pierced. The tire will have been pierced as well, but a structure of tough threads will usually leave the casing relatively undamaged and still serviceable. 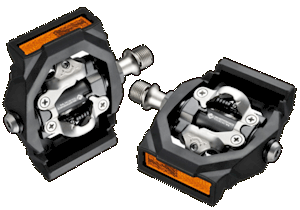 In the US you are likely to come across two types of valve, the Presta – generally limited to higher end and high pressure tires – and Schrader found on mountain bikes and hybrid type bikes. 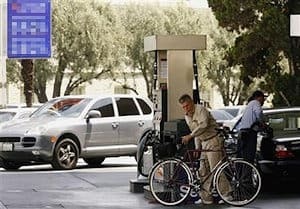 Most bike pumps will accommodate both types of valve. Every household with a bike or a fleet of bikes should have a Floor Pump. This is the easiest way of inflating a tire to the correct pressure. 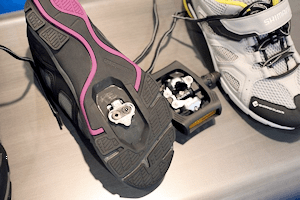 You can use a vehicle foot-pump but you will need an adapter for presta valves. 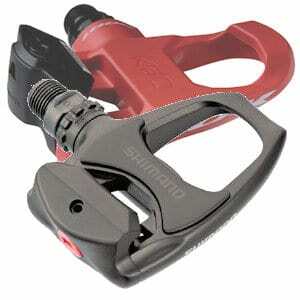 A good floor pump will usually have a chuck which can lock onto either presta or schrader valves, and a pressure gauge. Of course there’s nothing worse than experiencing a flat while out on a ride. 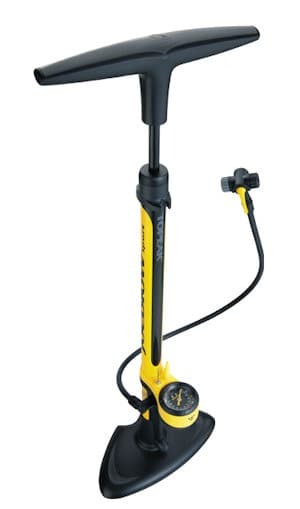 There are many types of portable bicycle pumps, from compact pumps to miniature floor pumps. Most of these will fit onto a bracket which can be fitted under a bottle cage. Some are small enough to fit in a seat bag or pocket. 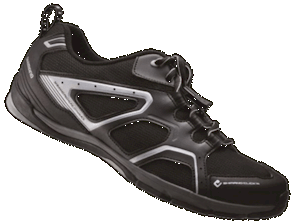 All these will require much more work than a regular floor pump to inflate a tire, but they will get you home. If you’re looking for the smallest and most convenient device, consider a CO2 inflator. These will inflate a tire very quickly and get you home. However, CO2 leaches through an inner tube very quickly so you may find your tire deflated the next day even though there is no puncture. Just re-inflate using a regular pump. 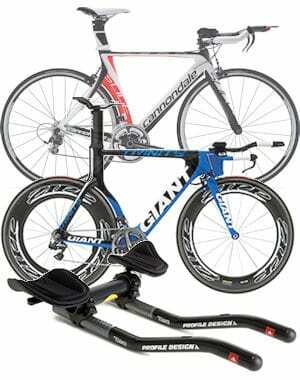 If you’re looking for a full-size bike pump and your bike has pegs consider a frame-fit pump. Halter’s sell a range of floor pumps from brands including Blackburn, Cannondale, Giant, Joe Blow, Lezyne, Park Tools, Topeak, etc. 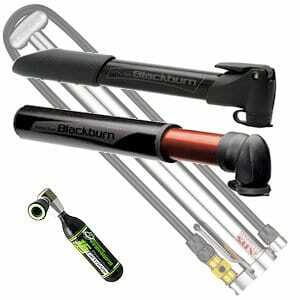 We also have a fine selection of portable pumps by Blackburn, Cannondale, Giant, Lezyne, etc, and CO2 inflators by Genuine Innovations, SRAM and Zipp.